This was posted 3 years ago on the OurBestBites.com blog. Click HERE to get the whole story. 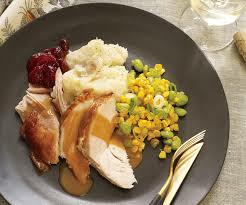 We’ve had many wonderful Thanksgiving dinners. I’m fortunate that my wife is an excellent cook and that she has had the good sense to use my mother’s dressing recipe. For many years, my parents would trek up to St. Louis from Birmingham to join us for the feast. Those were always great visits, especially when my dad was more spry and would head out for early Black Friday shopping with my wife. My dad pulled a Clark Griswold one year and got lost in East St. Louis, but the friendly ESL police pointed him back onto the right road. One Thanksgiving in the 1980’s we entertained a pair of visiting British Navy men whose ship had docked in Philadelphia after a visit to the Falkland Islands. 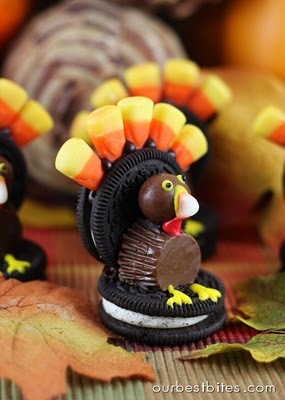 They loved everything about our wonderful American holiday meal—except pumpkin pie. 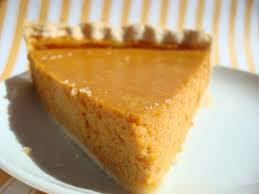 Pumpkin pie is very popular among one certain member of my family. For many years, my wife has baked two pumpkin pies: one for the family and guests and one for my daughter, who can finish one off in a hurry. One of our more memorable Turkey Days came in the mid 1970’s. I had just taken a job in Erie, Pennsylvania. I had been hired by an old acquaintance from Alabama. He and his wife and kids were living in a motel while they were looking for a house. We had recently moved into an apartment and had limited furniture. We invited them to join us for the Thanksgiving meal. My new boss’s dad, in town for a visit, was an additional guest. This was my wife’s first big production solo Thanksgiving effort. She performed beautifully. The meal was a success and we scored important points with my new boss. I recall driving to work that night as the first snowfall of the season fell, comfortable in the fact that I had a turkey sandwich with me for a late night encore. 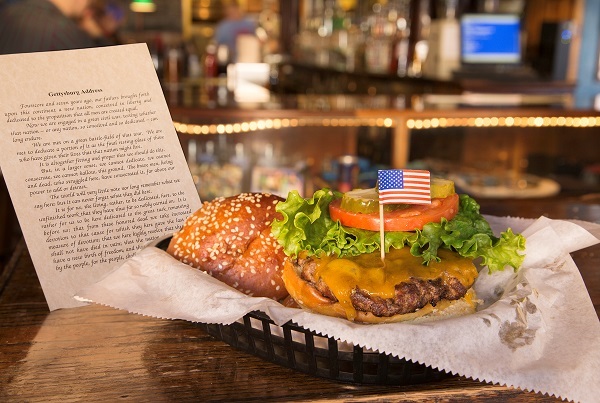 In honor of the 150th anniversary of The Gettysburg Address, the first 150 people to order a “Gettysburger” at Blueberry Hill today (Tuesday, November 19th), will receive a collectible copy of the Gettysburg Address and the history behind this historical speech. Blueberry Hill is located at 6504 Delmar in the U City Loop. I’m from Alabama and I love pecan pie. Just don’t overcook it! 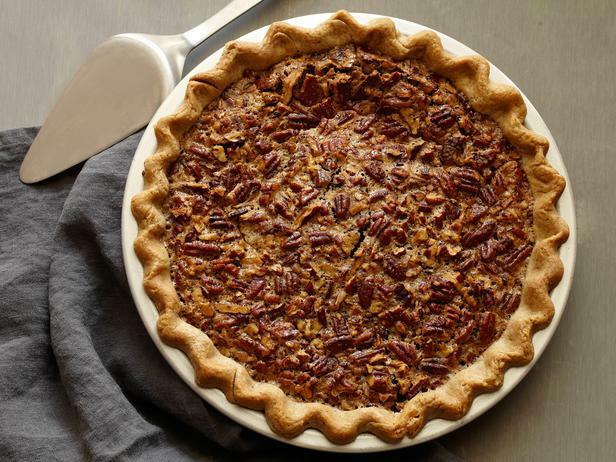 Click HERE to get Food Network’s recipe for the Pecan Pie pictured above. You can see some of your favorite Food Network personalities on Thanksgiving Live! Saturday, November 23, 11:00 a.m. to 1:00 p.m.
Ina Garten, Alton Brown, Bobby Flay and Giada De Laurentiis will answer Thanksgiving meal prep questions from viewers via call-ins and social media. Along with TV content delivered to your home via Charter, U-verse, Dish and Direct TV, Food Network has useful resources online at FoodNetwork.com. 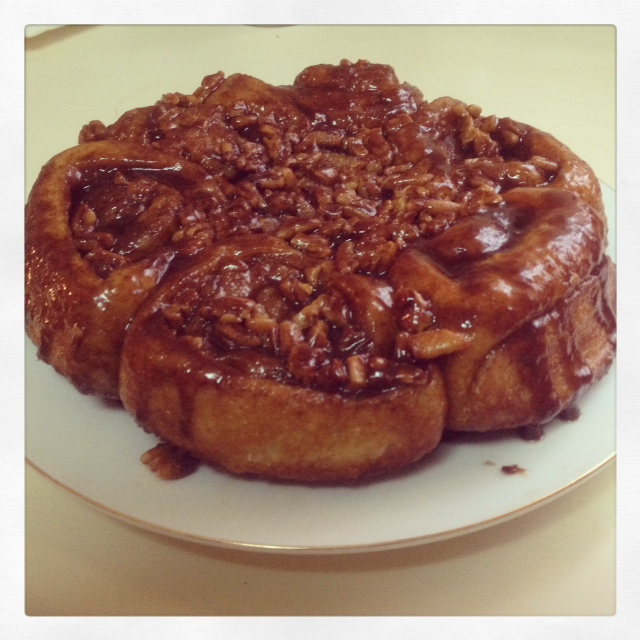 These buns were prepared in my home over the weekend. I can report that they taste as good as they look! Francine Segan is a food personality who will be bringing her chocolate expertise to St. Louis this week. She will be participating in a number of classes for Dierberg’s School of Cooking and popping up on local TV shows. She is the official chocolate instructor for Perugina chocolate. Here is a photo of Francine about to eat a cannoli. Friday night (11/15), 7:00 p.m. to 9:00 p.m., she’ll host Date Night: For Chocolate Lovers at the West Oak Dierberg’s on Olive at Craig in Creve Coeur. It’s a demonstration class for couples that features Pasta with Pork Ragu, Chocolate Cheesecake and a Chocolate Martini. Perugina chocolate, natch. On Saturday night (11/16), 6:30 p.m. to 8:00 p.m., she’ll be at Des Peres Dierberg’s for A Chocolate Extravaganza, which includes tastings of a number of items featuring Perugina chocolate. She will also present classes on dessert making (with chocolate!) at Edwardsville (Thursday night), Bogey Hills (Saturday afternoon) and Southroads (Sunday afternoon). Click HERE to view Dierberg’s November-December School of Cooking brochure with costs and registration information. 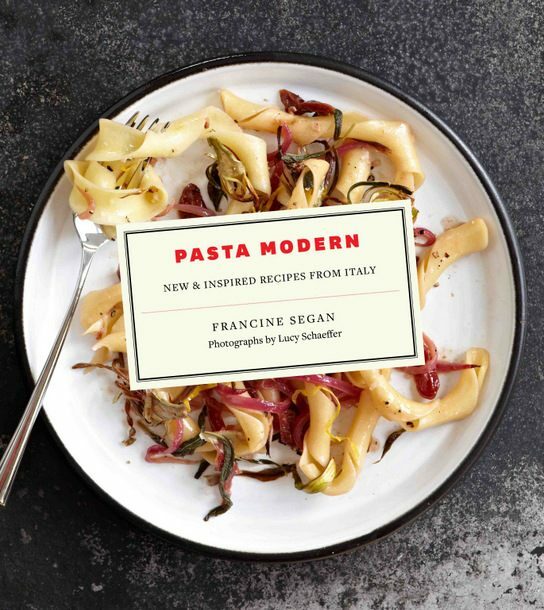 Francine Segan is also an expert on pasta! Her newest book (she’s written six) Pasta Modern is available now. Click HERE for the Amazon link. All Chicken Fingers, All The Time! 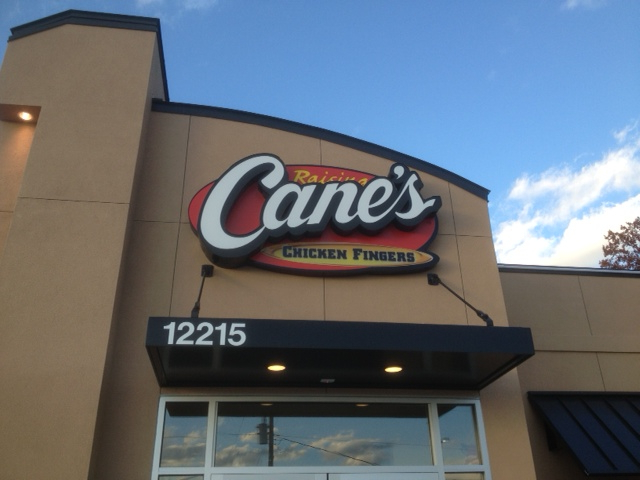 Raising Cane’s Chicken Fingers opened today at 12215 Manchester Road in Des Peres. But are chicken fingers a big enough deal to format a fast-food restaurant around them? Apparently so, as Raising Cane’s opened its 150th location earlier this year. Personally, I tend to take a pass on chicken fingers. I think of chicken fingers as the ultimate kid’s menu item. My mother-in-law loves Dairy Queen’s chicken fingers and would eat ’em every day if she could. I plan to take her by to sample the chicken fingers at Raising Cane’s soon, although not at lunchtime. That strip of Manchester just east of I-270 can get seriously congested during the noon hour. Edward Jones HQ, West County Mall, the Epic Schnuck’s and the Mondo Dierberg’s are all close by, all generating cars. 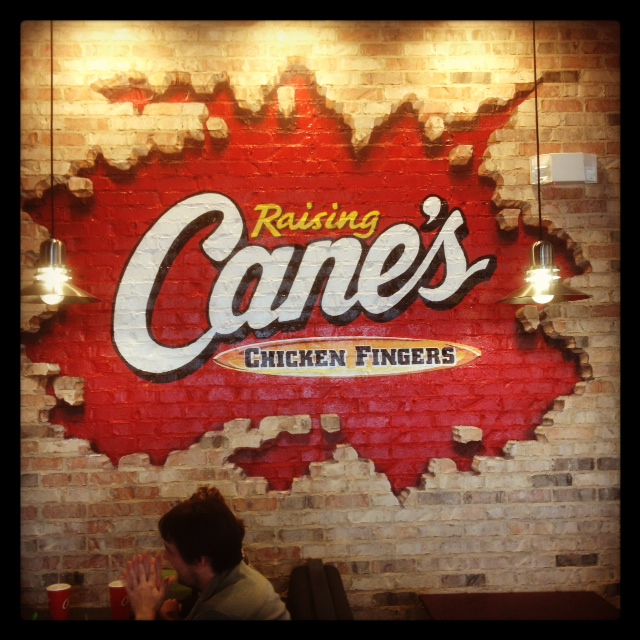 Raising Cane’s has locations in food courts in the Galleria, Mid-Rivers Mall and in Chesterfield Mall. This is their first free-standing store in metro STL. In this era where so many fast food and quick serve places are trying to cover their competitors’ offerings and be all things to all people, I admire these folks for putting all their (hatched) eggs in one basket, so to speak. All chicken fingers, all the time! On the web at raisingcanes.com.